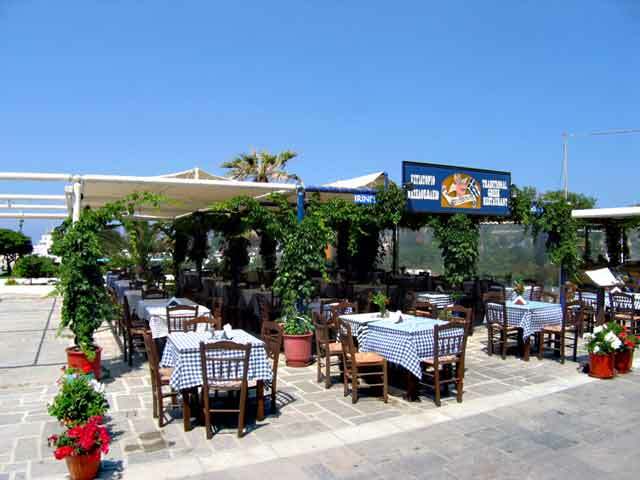 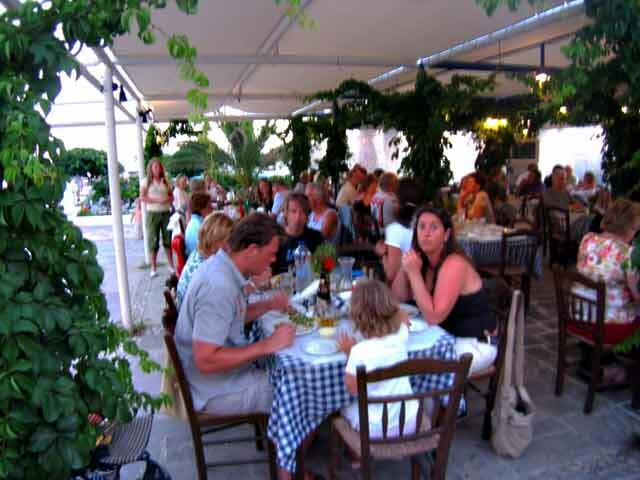 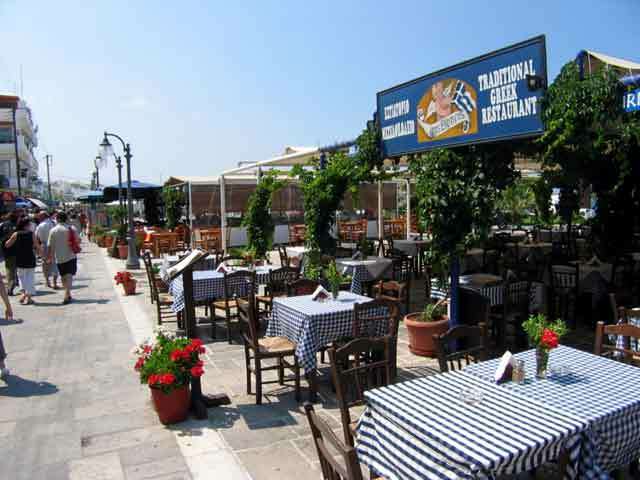 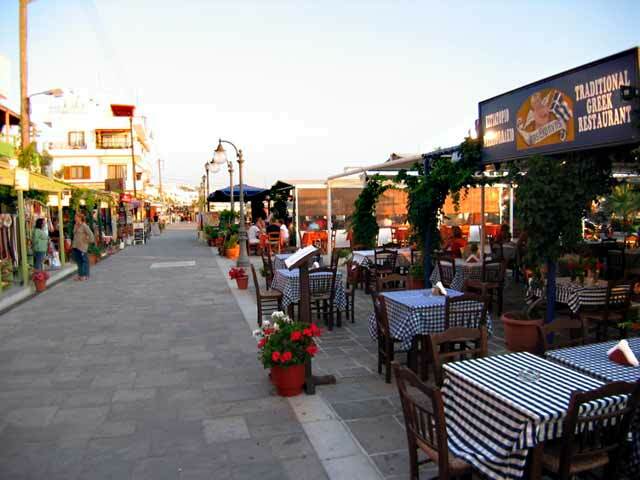 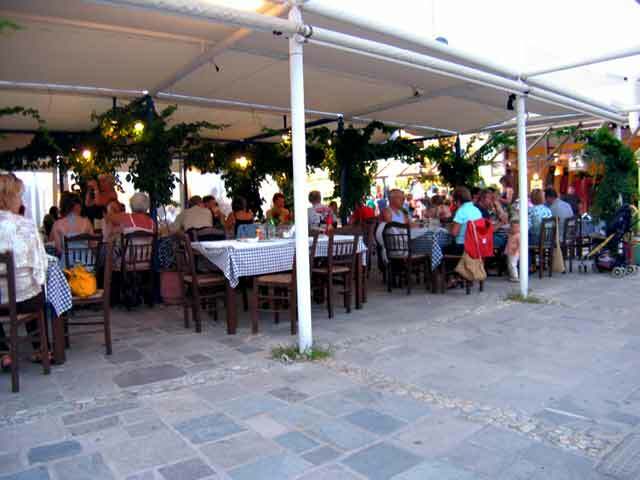 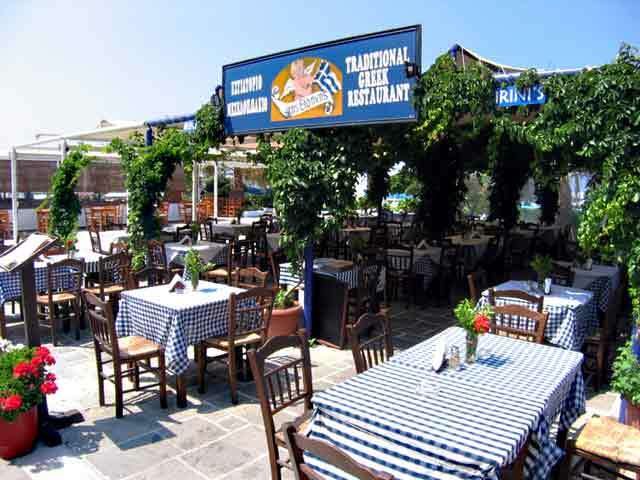 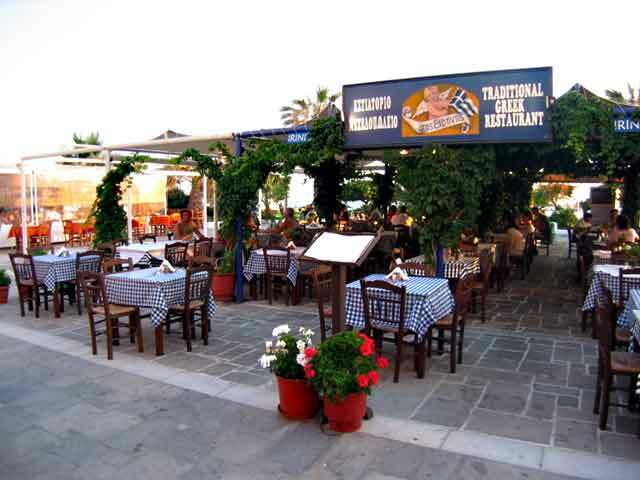 A Greek traditional restaurant - Tavern which has the atmosphere of a sitting room in an island house, situated on the sea side. 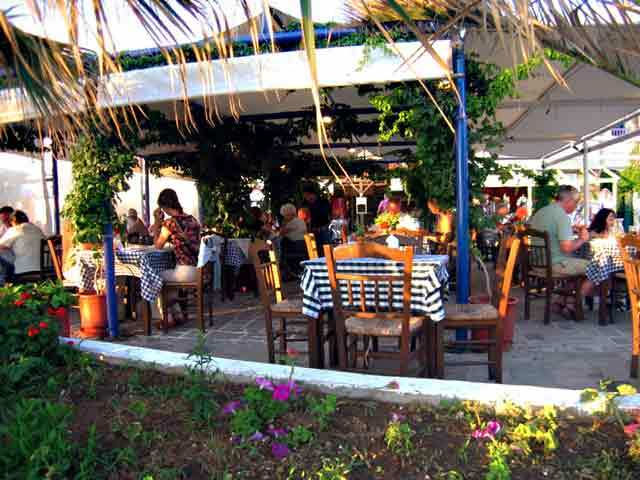 The restaurant has used rich Naxian history and top quality ingredients as the inspiration for a great everyday selection of fresh fish and traditional local dishes. 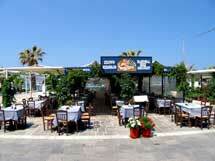 Try their original selection of mezedes. 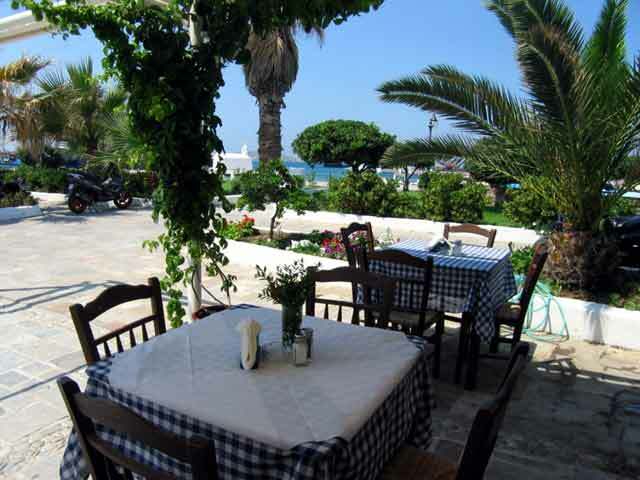 Irinis restaurant setting the standards in Naxos. 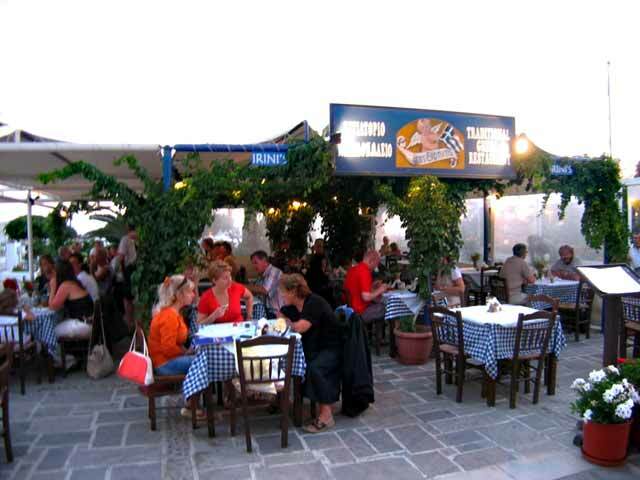 Open from April until October, from 12 midday until late at night.